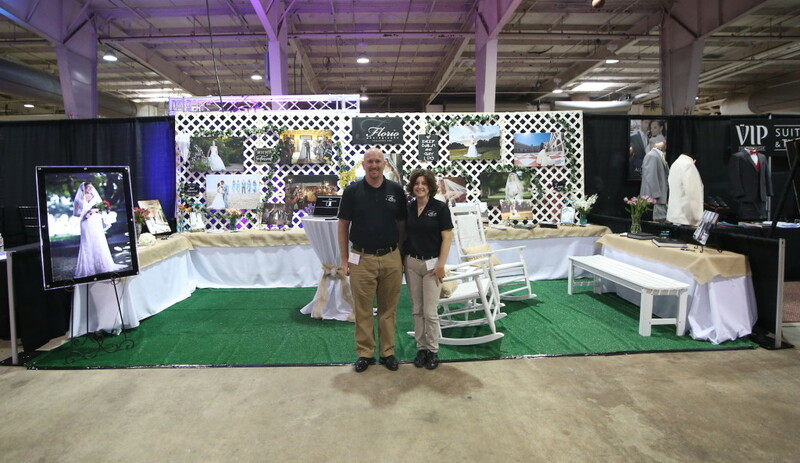 I was a vendor this weekend at the Southern Bridal Show at the NC State Fairgrounds. This is one of the Forever Bridal shows that occur periodically throughout the year. I met a huge amount of brides and thought there was a great turn out. Some of my previous clients came and helped me work the booth this year. It was such a joy to spend some time with them and I was very touched that they would take the time and spend the effort to help me out. My booth this time was a 10×20 size and I feel like that was a better choice. I was able to have a nice sitting area to let brides stop and view my albums and learn about my services. If I met you at the show and you are interested in learning more, please contact me; I’d love to do a no-obligation consultation with you. As part of the wedding of Alyson and Tom, I shot a wedding 360 degree photosphere. This is a really neat addition to the wedding packages that I offer. You can view in all directions, just grab the image and move it with your mouse. It’s really like being there!